This sensor is equipped with 2 thumb screws where “m” is for ground and “g” is for the green signal wire that is part of the gauge harness. 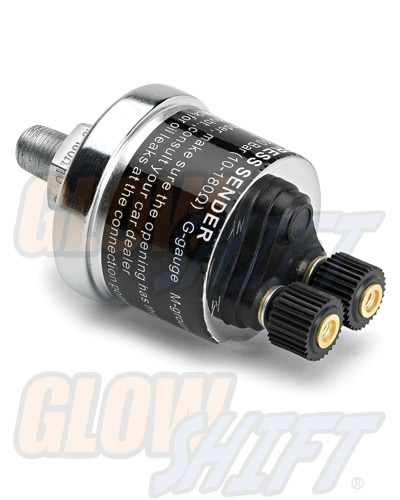 The sensor has a 1/8th npt male thread for an easy connection to the pressure source. The overall length is 3 1/4” with a diameter of 1 3/4”. This sender is identified by its silver color and a black sticker that says fuel press sender. Want this item shipped out tomorrow, April 19? Order within the next 18 hrs 34 mins.